You know what I love? I love when my refrigerator is full of delicious things. Because that means there are all kinds of combinations of those delicious things that I will be eating in the near future. 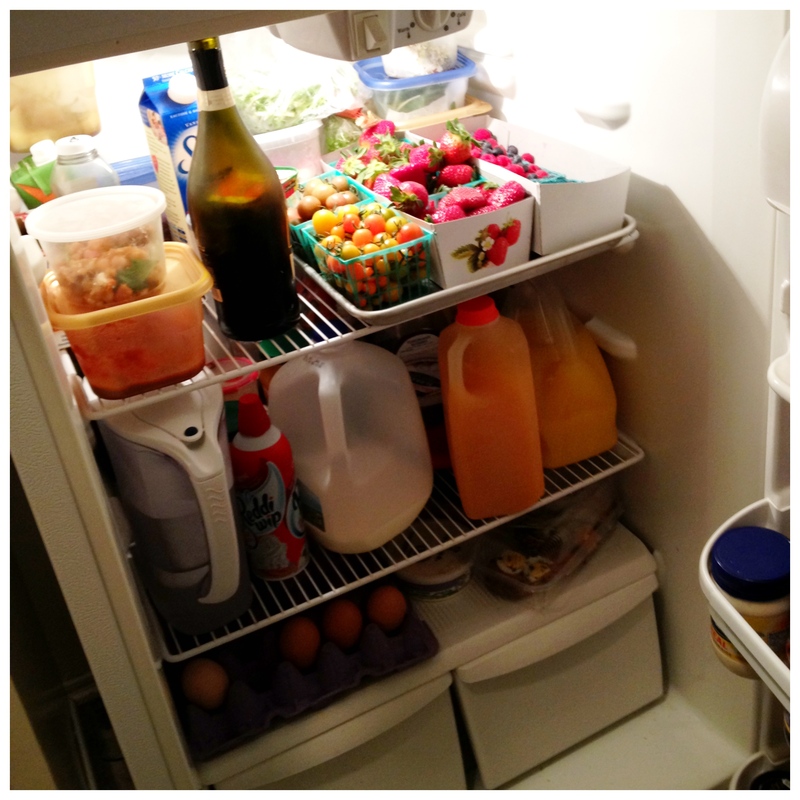 On Wednesday evenings, my refrigerator looks like this. And the delicious things don’t end there. The fruit bowls on our shelves are full of pears and grapefruits. Another bowl is full of onions and garlic. But since Brad has been back at Bar Pintxo and I’ve gone back to voice lessons, we have miraculously found ourselves both with Wednesday mornings free. 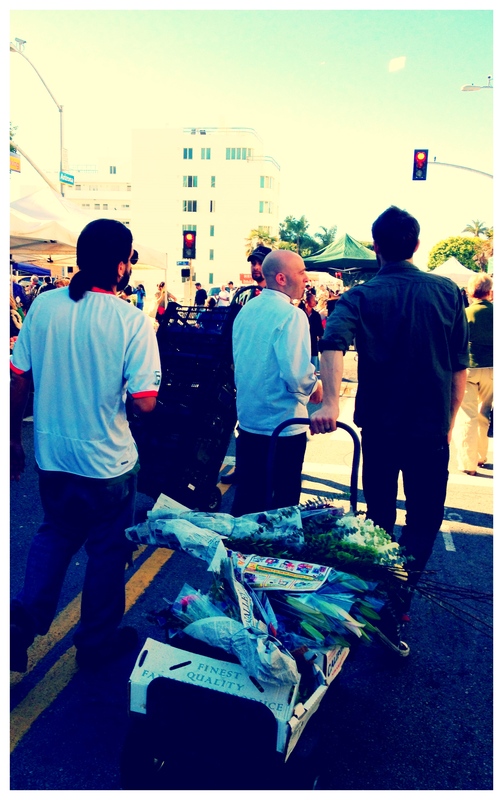 We have started the tradition of getting up early and hitting the Santa Monica Farmer’s Market – Brad with the two other Pintxo chefs and me either with Suzi or just tagging along with the boys. Us Angelenos are incredibly lucky because every day of the week somewhere in this town there is a farmer’s market going on. 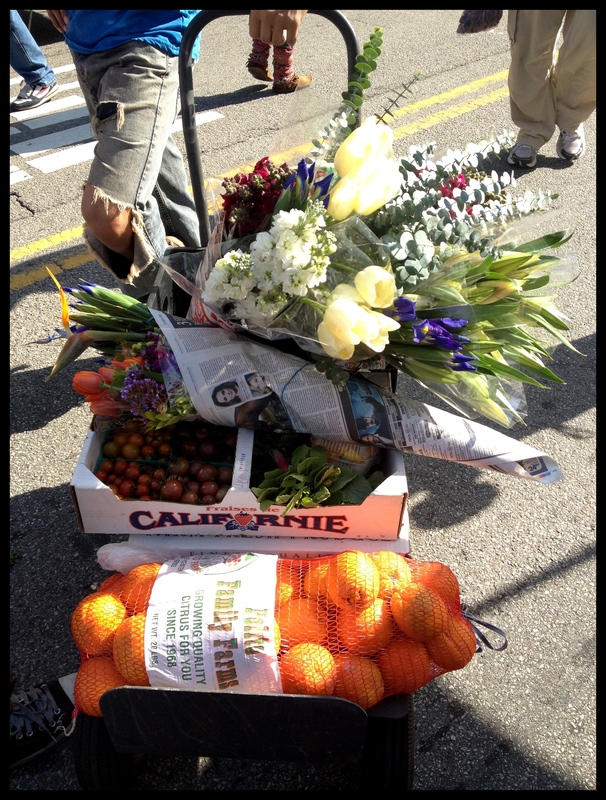 Farmer’s bring flowers, produce, bread, oil, nuts and jams from all up and down the SoCal coast. 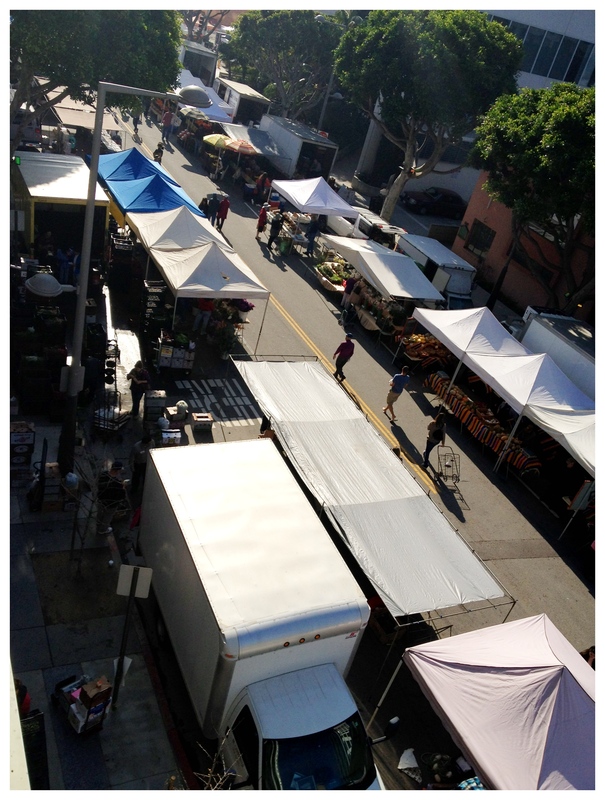 Our Wednesday market is year round, rain or shine, and it is four blocks of a food lover’s playground. 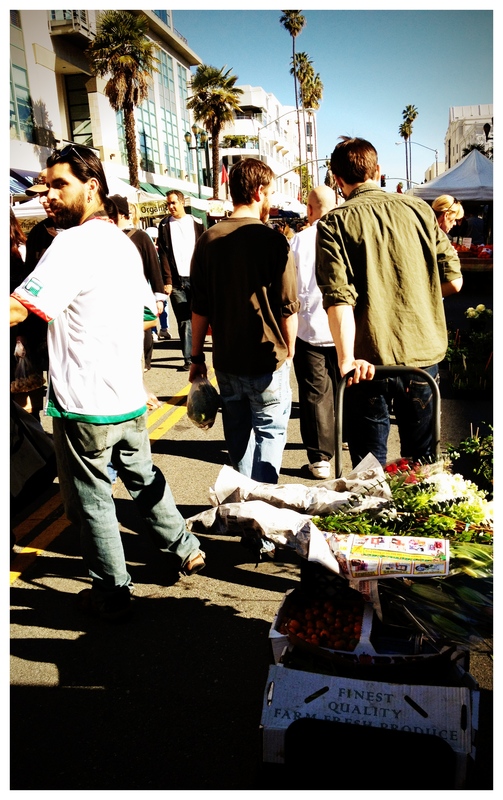 The chefs in Santa Monica love the market. Chefs from every restaurant worth knowing (and some that really aren’t) in the Santa Monica area come out to get something local to feature on their menus. The prices are great, the farmers are wonderful, and the fruits and vegetables can’t be beat. Now Brad, David, and Justin? I call them produce sluts. David always wears his executive chef jacket and the three of them walk around tasting and talking and straight up chef-schmoozing. The boys have a flower guy who gives them a deal. They have a strawberry girl who gives them the samples that she has hidden just for people she likes. They bargain. They barter. They talk with other chefs. They answer food questions for little old ladies who want an expert’s opinion. They find new ingredients and plan the week’s menu. I even got in on the action this week. 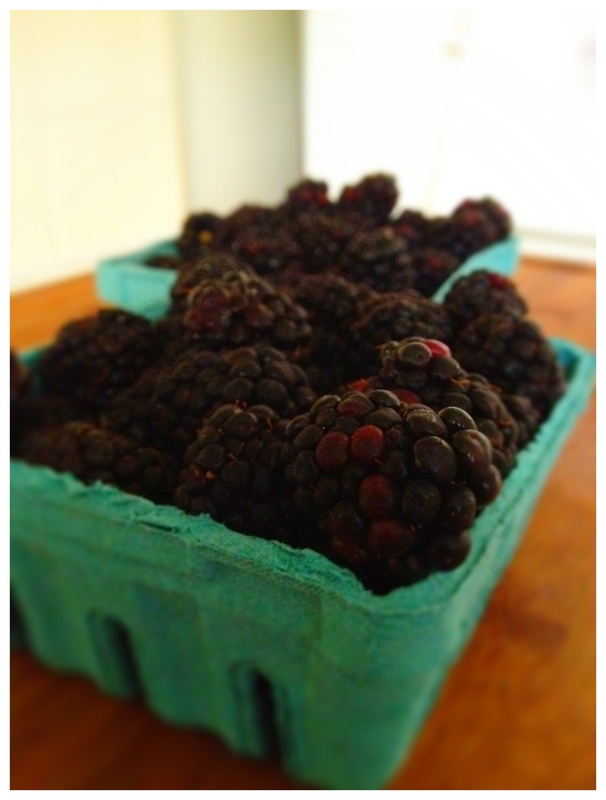 I ran into my kitchen manager and scored some fresh blackberries for a new Mixology endeavor…. Stay tuned. Usually I just walk around behind them with my two bags – snapping pictures all the way – and jump in on whatever deals they’re getting. I’m a chef’s wife. Farmers love that, too. 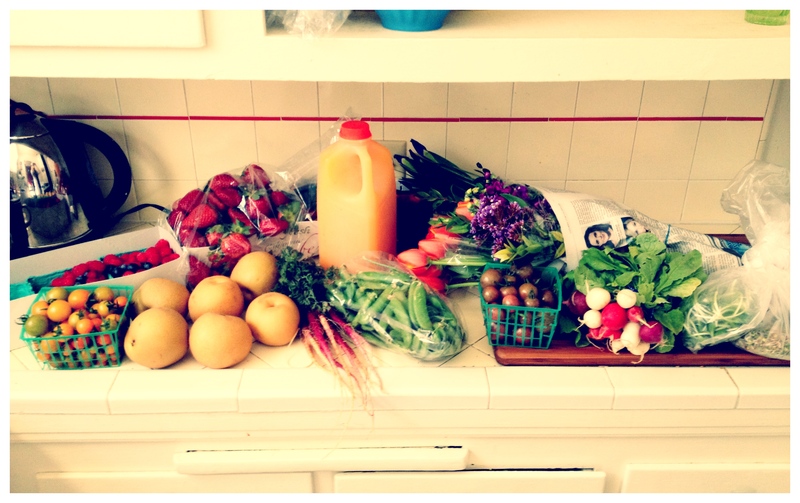 And I love spending $40 for enough produce to get me through at least a week. This was today’s spread. Fresh OJ, blueberries, radishes, raspberries, peas, two kinds of sprouts, asian pears, strawberries, purple carrots (!! ), flowers, grapefruit, and lots of cherry tomatoes. Another new Wednesday tradition is Brad’s “Market Salad”, which is the most fancy version of a salad I have ever had. Made entirely with whatever we found at the market that day. The first week, Brad brought this out and I was absolutely floored. 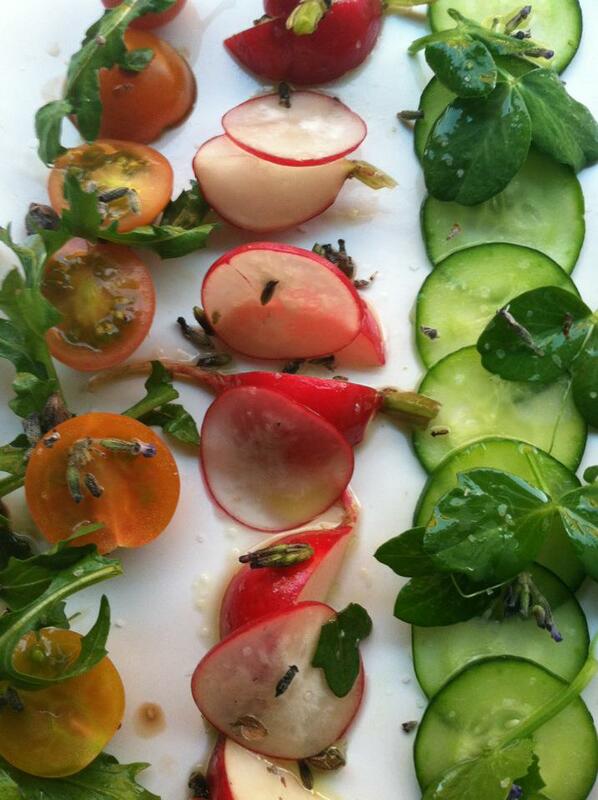 Who knew vegetables could be so damn pretty? 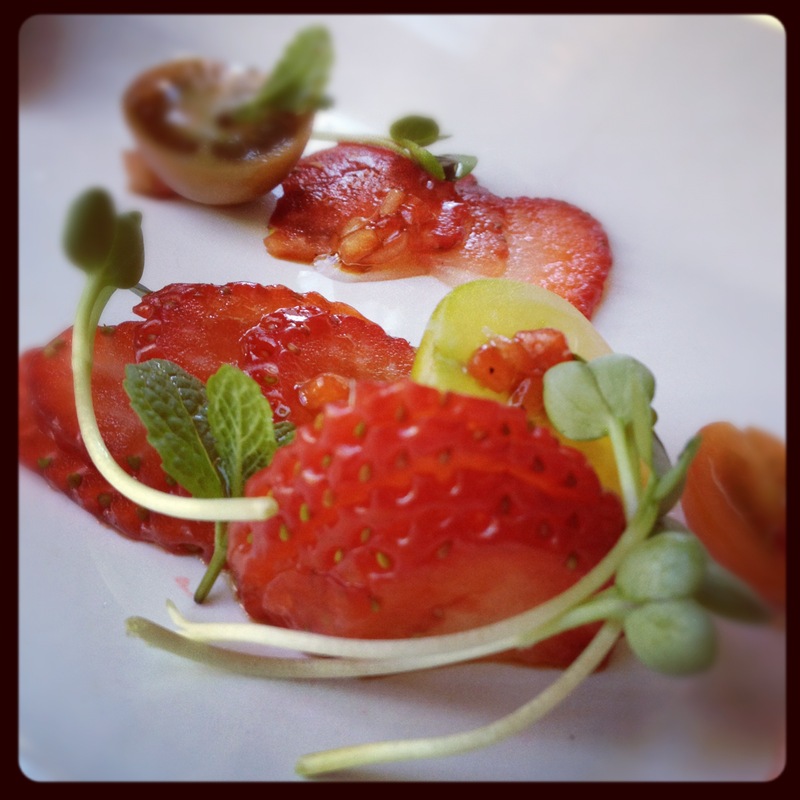 The second week it was a strawberry salad. Equally as impressive. And then today’s. 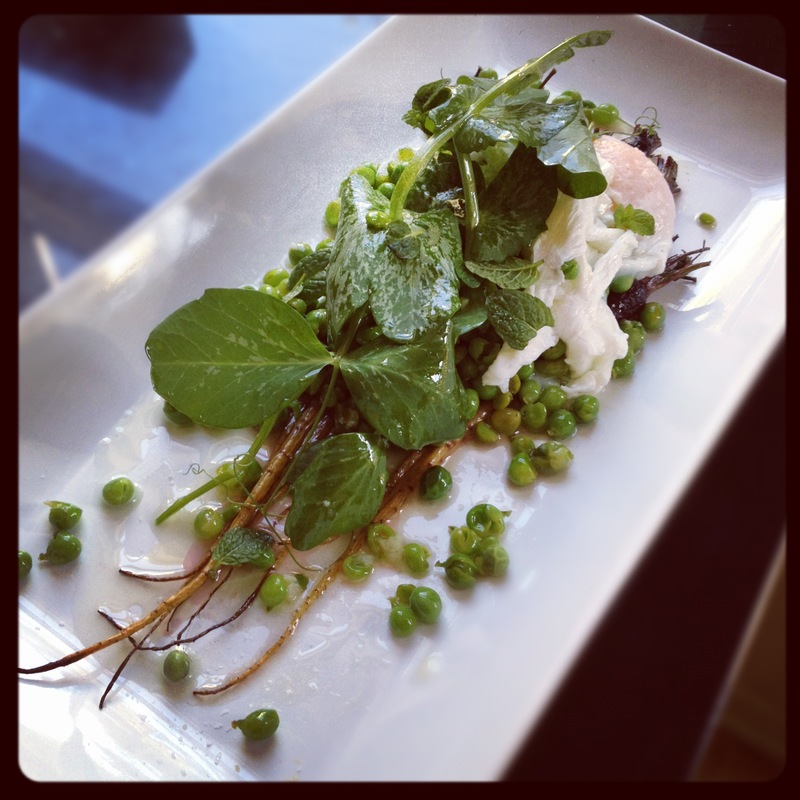 Prosecco buttered peas, pea tendrils, roasted purple carrots, mint, and a poached egg. Ok, so the pea tendrils came from our own garden, but even the egg was from the market. So get ready for a whole lot of Farmer’s Market/Market Salad pictures every Wednesday as I am continues to be amazed by my husband’s ability to make art out of vegetables. And my talent to make it all disappear.